Be in the know of how your TV Ad is preforming. 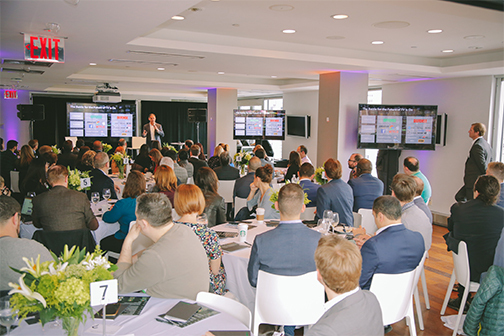 Yesterday, we hosted our second annual Pre-front breakfast in New York City! CMOs and senior marketing executives of major brands and TV networks joined us to discuss the future of TV measurement, including the ins and outs of multi-touch attribution for TV ads. Our event featured an amazing panel of speakers, including Evan Hovorka from Target, Tim D’Auria from Trip Advisor, Jessica Hindlian from LiveRamp and Mike Rosen from NBCU. 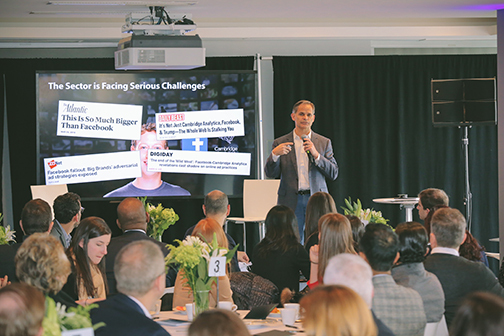 Across all of the presentations, it was clear the most critical takeaway from the event is how the TV industry is evolving towards business outcome-based, segment-based and attention-based TV measurement. In addition to the key industry insights discussed during the event, attendees received a personalized media guide for their brand. Each guide contained a brand review of what the advertiser had done since the last Pre-front, how their brand and ads index against their industry’s norms, and media recommendations for the year ahead. 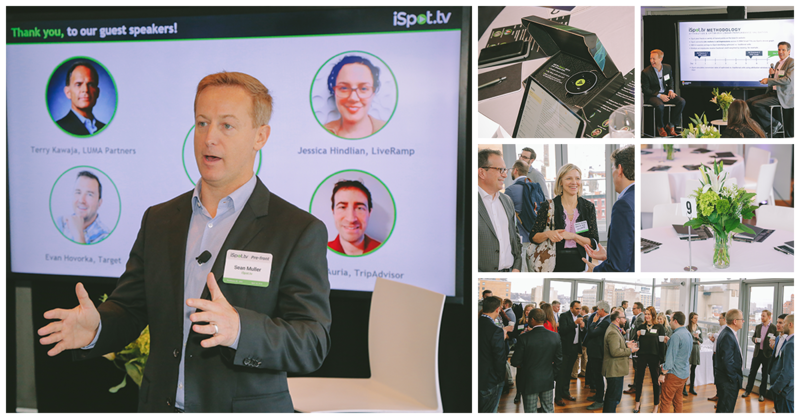 Attendees also received an Amazon Echo with the iSpot skill enabled; allowing them to have yet another secret weapon as they head into the Upfront season. If you missed our event but would like more information on our Pre-front event or a personalized media guide for your brand, email us at prefront@ispot.tv.